In 1972, Mark Levinson, then 26 years old, was recording organ recitals at Yale University in New Haven CT USA with a Stellavox recorder and two microphones. One of the most memorable concerts was played by Myrtle Regier in Dwight Chapel on the von Beckerath organ. 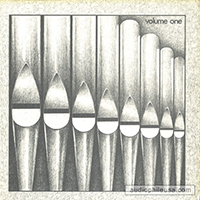 Levinson’s recording of this concert, an LP issued in 1974, was the very first “audiophile” recording and sold 10,000 copies – an astonishing number in those days. The Master Class version is close to identical in sound to the original 15ips 2 track master tape.